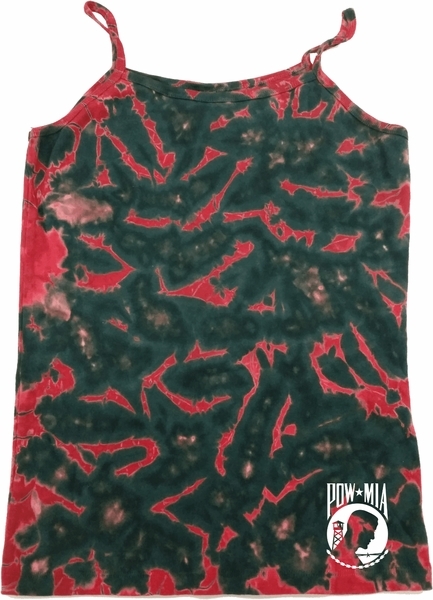 A ladies tie dye tank top featuring Pow Mia. Our ladies spaghetti strap tanktop is made of 100% cotton. Available in sizes Small through XL. Machine wash cold with like colors; dry low heat.